Home / News / Catholics All Over The World Celebrate The Birth Of The Mother Of Jesus Christ Today! Catholics All Over The World Celebrate The Birth Of The Mother Of Jesus Christ Today! 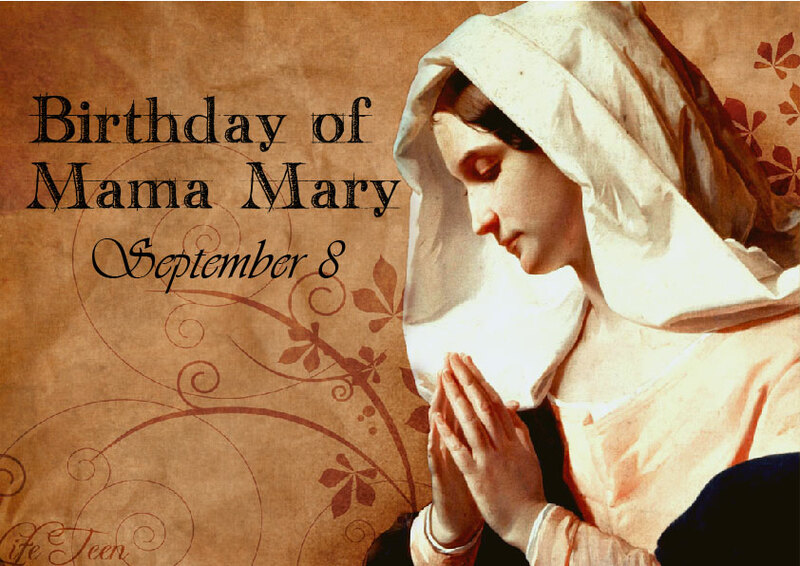 Today 8th f September, Catholics all over the world once again celebrates the solemnity of the Blessed Virgin Mary’s Nativity. Mother Mary was born in Nazareth, to Saint Anne and Joachim. She was married to Joseph the carpenter and according to the New testament, she gave birth to whom the Christains refer to as the Saviour of the world, Jesus Christ. She lived a holy life and introduced the 'Rosary', first to the three children of Fatima in Portugal; Lucia, Francisco and Jacinta in 1917. Queen of Peace — Mary officially received this title during World War I in a proclamation by Pope Benedict XV. The Pope added "Queen of Peace" into the Litany of Loreto in his call for peace among the warring nations. Mother of Perpetual Help — This painting shows the Madonna and Child attended by the archangels Michael and Gabriel. The angels hold instruments central to the Passion. The painting is heart breaking. The Christ Child, having glimpsed the instruments of torture, runs to His mother's protection. His right foot is bare, indicating He was so frightened He ran out of his sandal. Our Lady of Mt. Carmel — This is Mary of the brown scapular. The scapular comes to us through the vision of St. Simon Stock. Many miracles have been attributed to the scapular of Our Lady of Mt. Carmel. Our Lady of the Miraculous Medal — Mary's appearances to Catherine Laboure in 1830 marked the beginning of modern Marian apparitions. Mary gave Sr. Catherine the design for this medal. The words on the medal prompted clarification on the Immaculate Conception, which became dogma in 1854. Mother of Mercy — Saint Odo, a 10th century abbot, is believed to be the first to call Mary by this name. In the 11th century, this title was incorporated into the prayer Salve Regina. Blessed Mother — This seminal title derives from Gabriel's greeting to Mary at the Annunciation, where she is called "blessed" among all other women. Immaculate Conception — The 1854 dogma issued by Pope Pius IX refers to Mary's sinless nature at the moment of being conceived by her parents. The Immaculate Conception was the first time a pope claimed a dogma to be infallible, even though the idea of papal infallibility would not be officially proclaimed for another 16 years. This is the definitive title of the Blessed Mother. 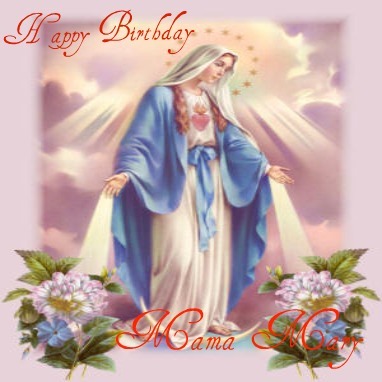 Happy Birthday Mother of Grace!